A "kidnapped" nine-year-old Massachusetts girl is safely back at home after a team effort by an enterprising local cop and deputy fire chief which exploited the signal from her mobile phone and Street View to track her to a motel in Virginia, the Worcester Telegram & Gazette reports. Natalie Maltais went missing on Saturday after her grandmother, Rose M Maltais, picked her up for weekend visit in Athol, Massachusetts. The child's guardians, "alarmed by comments made to them by the grandmother that they would never see Natalie again", contacted police, who issued an arrest warrant for the grandmother. Athol police had the child's mobile phone number, and spoke to her and her grandmother on Monday night when they were "at an undetermined location in Rhode Island". The Telegram & Gazette notes that police "had been aware Ms Maltais might be taking the child to Rhode Island, where she has relatives, or to Louisiana, where the child's biological mother, Marlena Santos, lives". At this point, Athol cop Todd Neale had the bright idea of tracking the pair using the mobile phone - a technique made possible by legislation which since 2005 has obliged operators to "to provide some way to trace calls to 100 meters or less". Accordingly, the phone company coughed GPS coordinates "every time the phone was activated". Neale then called in Deputy Fire Chief Thomas V. Lozier, who has "extensive experience using GPS technology". 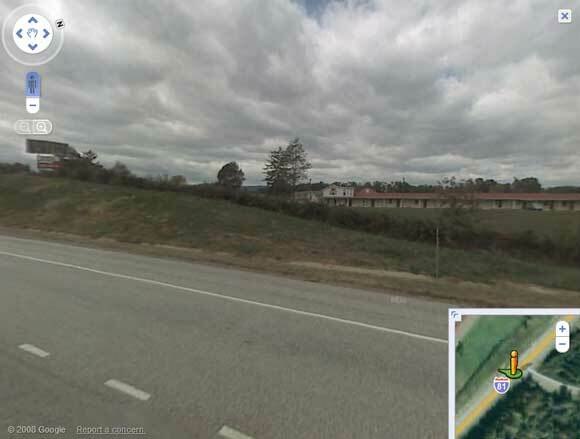 Using the coordinates provided by the mobile phone operator, he was able to track a series of calls to an intersection on Virginia Route 11 near Interstate 81 in Natural Bridge, Virginia. Having checked the satellite view of the motel to confirm it was in the right spot, Lozier told Todd that's where he reckoned the missing pair were. Todd called Virginia state police, who did indeed find them at the motel and arrested Rose Maltais on as-yet undetermined charges.